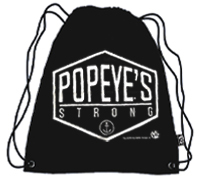 17" X 13.5" premium quality nylon sling bag with double draw-cord. 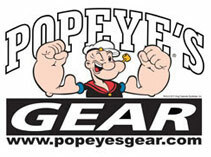 'Popeye's Strong' logo is printed on the front - Popeye's Supplements logo is printed on the opposite side! Great for transporting your gym gear and lifting accessories.